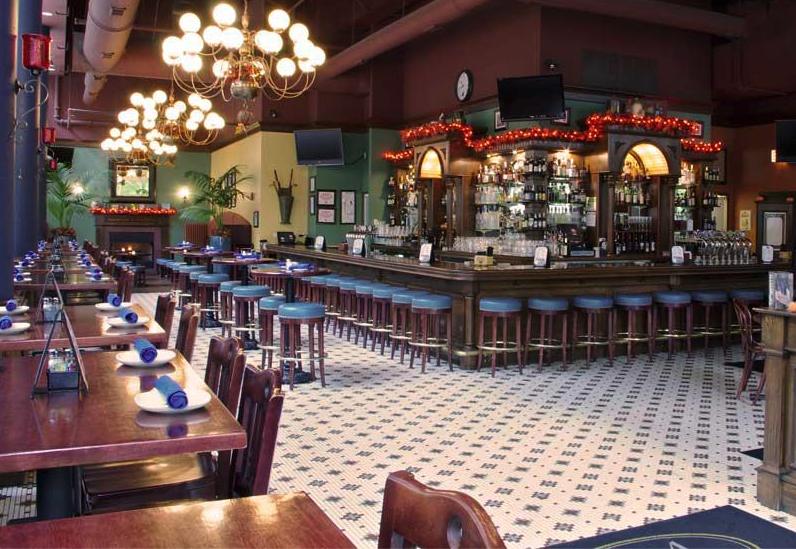 Rent D4 Irish Pub & Cafe | Corporate Events | Wedding Locations, Event Spaces and Party Venues. D4 Irish Pub & Cafe is Chicago's Premier Irish Address. Sample our menu of Modern Favorites with Irish Flair for lunch, dinner or weekend brunch. Sip a glass of wine, an exceptional Single Malt Scotch or a Craft Beer from our vast collection. D4 Irish Pub & Cafe is the ideal setting to host your next event. We can accommodate any size group up to 250 guests and ensure that we’ll make your event something to remember. We do not charge a room fee, but there may be a minimum food and beverage charge based on the size of your group. D4 can accommodate most of your special needs or requests. If you are interested, we can also provide Irish entertainment – harpists, bagpipers, dancers or folk musicians. We offer 4 standard package levels for your event, or you can create your own party package menu from the D4 kitchen. We do require groups with less than 20 persons order from our daily menu. Corporate Outings, Holiday Gatherings and Group Events, We Make Party Planning Easy with our party planning guide. Click here to download a copy and Plan Your Party today!